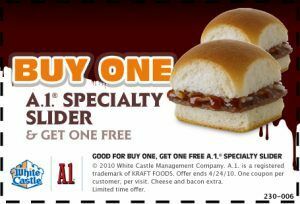 Right now you can snag a buy one get on free – BOGO printable coupon for the newA.1. Sliders from White Castle! Coupon is valid until April 24, 2010 and is limited to one per customer.